When buying a home, "move-in ready" can seem ideal, but you’ll pay a premium for it. While you’re shopping for granite, stainless, new carpet, fresh paint, and clean, know that so are all of your fellow home shoppers. If your goal is to find the bargain in the bunch, you may want to consider extending your parameters to almost move-in ready. If you’re shopping with a VA Home Loan in mind, know that a Handyman’s Special won’t make it past the VA underwriter’s critical eye, but an ugly home? That’s got a much better success rate. To help find that bargain, let’s look at the 5 weird things you can ignore when househunting! When you drove up to the home, did you instantly think, “Meh, nothing special?” Step back and envision what the home’s previous owners either couldn’t or wouldn’t do to the exterior. Imagine some fresh landscaping that evokes either the local natural landscaping, or perhaps a landscape that reminds you of home. Repaint the front door and add a storm door so that you can let in the visual beauty of your new landscaping inside. Add some charm with inexpensive upgraded lights and shutters. Et voila! In just a few small weekend projects, you will have upgraded an ugly home, and made it infinitely more marketable for when it comes time for your PCS and home sale. If you haven’t had the blessing in disguise of having lived with a slob of a roommate, then home shopping for a pre-owned property might come as a bit of surprise to you. Unlike when you tour a model apartment or model home in a new community, pre-owned homes come in a variety of states of readiness. If you find a home that otherwise structurally fits your needs but is dirty, then chances are you can get that home for a steal because not everyone can see past the grime. If you don’t want to deal with the dirt, then for a few hundred dollars, you can have the home professionally cleaned prior to your move-in. This is more than a long weekend worth of work to fix, but the results of removing Grandma’s floral print are dramatic--both visually and financially. Neutral walls may seem “boring” after living in rentals and base housing. However, calming greys, tans, and light greens with accent art pieces and curtains can brighten your home and make rooms feel much more open and spacious. A little sweat equity in steaming off (okay, a lot of pulling, scraping, and digging) that ugly print will help you appreciate your home so much more! RELATED: WHAT'S YOUR HOME STYLE? Okay, carpet filled with pet hair and stains is just gross, but cheap, construction grade carpet that’s simply matted down with general wear and tear isn’t that pleasant, either. Though the last thing you likely want to shell out cash on after a move is flooring, it’ll probably be one of the best investments in your house that you make. Keep in mind that everyone else who looked at that house saw that carpet and likely thought “yuck,” and moved on. Now you’ve got an opportunity to get a good deal on this property that others overlooked. Consider replacing the carpet with a good quality wood laminate; it may be a little more expensive, but it’s typically more durable, and depending on your area, is generally better for resale purposes than carpet. If all of this repair work has you running for the closest new construction neighborhood, I can’t say I blame you. We’ve remodeled at some duty stations, but sometimes, you just need move-in ready. 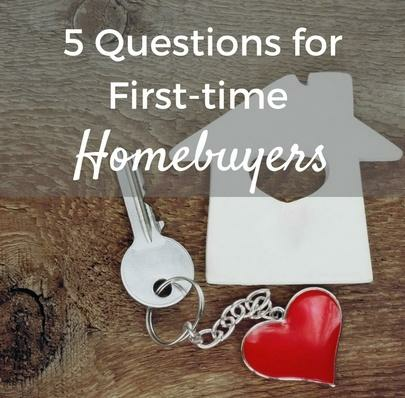 However, after a couple of trips to the shiny new model home in the “military friendly” marketed neighborhood down the road from base, you start to realize that all the bells and whistles that make that model home pop are not only not standard, but also won’t fit anywhere in your BAH-based monthly mortgage payment. Drat! The wood beams, upgraded gas stove, dual ovens, high-end quartz counters, hand-scraped wood, and brick facades throughout the gourmet kitchen all disappear in the base price plan. ...and so, we learn to ignore the upgrades in the model home, and focus instead on the quality of construction and the floorplan that will best suit our family’s needs. And here’s what NOT to ignore! When you’re checking out the less move-in friendly homes, know that cosmetic upgrades can yield a good return on your investment (though check with a real estate agent familiar with your market to make sure you aren’t over-upgrading). It’s important to note, though, that homes that have not been well-maintained may have issues far beyond what the eye can see, so the most worthwhile investment that you’ll make in your real estate transaction will be to hire a good home inspector. A good inspector will make sure that you’re not overlooking major items and systems that will need repair or replacement, such as your HVAC, ductwork, electricity, or the roof. Also important to consider is that while you are overlooking ugly carpet, wallpaper, or a dirty home, know that overlooking every single cosmetic thing will add up to a list of costly expenses that may make that deal not quite as good as it may seem. Talk to your real estate agent to see if the sellers are considering offering a flooring or paint concession, or if it would be possible in your market to negotiate for cleaning services. Every market is different, so it’s worth asking to see if your new market will bear those demands. 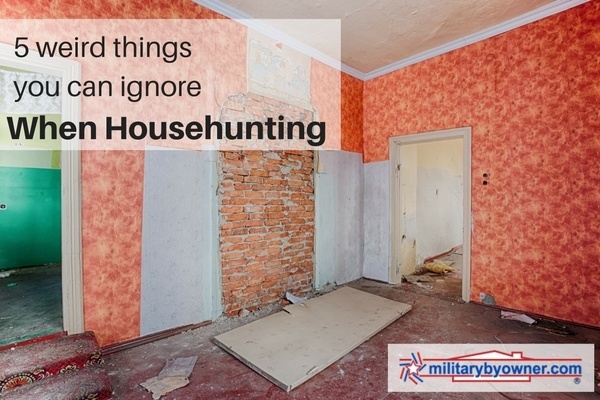 While the last thing on most military family’s minds after a long PCS is renovation, when it comes to househunting, mentally prepping for a little renovation work might help yield that great deal that will make your next PCS much more financially fruitful in a home sale.